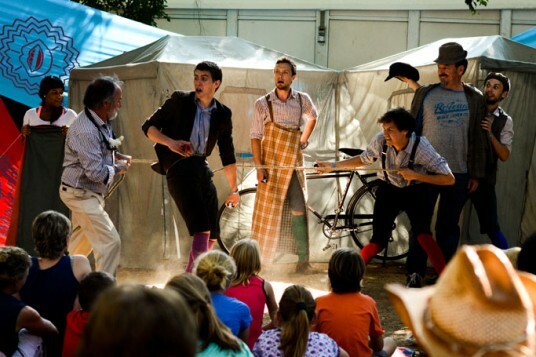 The all-male HandleBards quartet do bicycle-powered Shakespeare in the open air, cycling 1,500 miles on this UK tour and towing behind them all the set, props and costume they need. 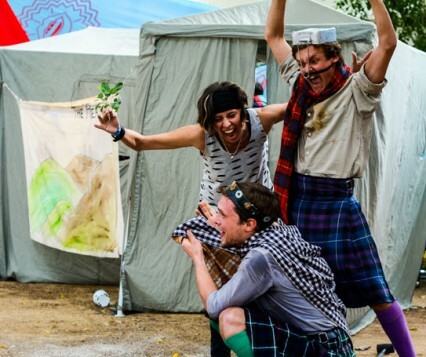 In a sustainability challenge that also involves using no energy from the National Grid either on stage or en route, everything they use has to be something that could genuinely be found on a campsite. The result is gloriously eccentric and very, very funny. 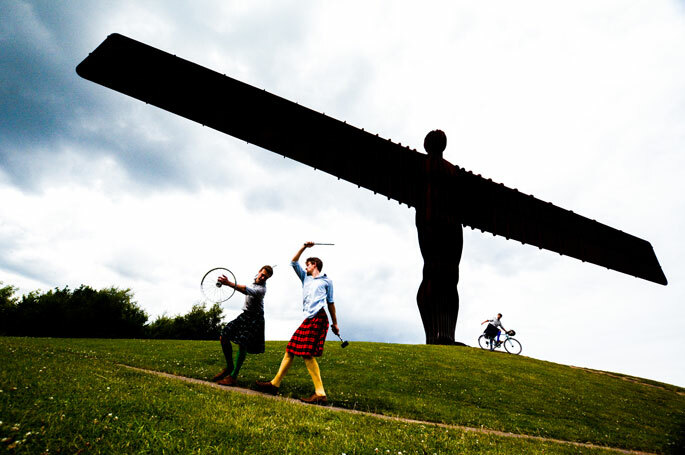 The troupe plunders every kind of inventive way to change or add characters, from disembodied jackets on broom handles to audience participation. There are myriad uses for a windbreak. It’s beautifully staged tomfoolery, fast-moving and very physical. There is something ridiculously droll about men in knee-length socks doing a sidling movement with the feet that indicates when they are flying fairies. The quarrel between the lovers exploits the outdoor space to full advantage, with a full-bearded Helena using the fight tactics of a man, and picnics raided for ammunition. Yet the triumph of all this is that it remains wholly true to Shakespeare. They know how to speak it. The text is delivered with clarity and robustness, every word heard in the open air and no line squandered. And more than that, amid the mayhem there are flashes of just what it might have been like in Shakespeare’s day with male actors playing the women. 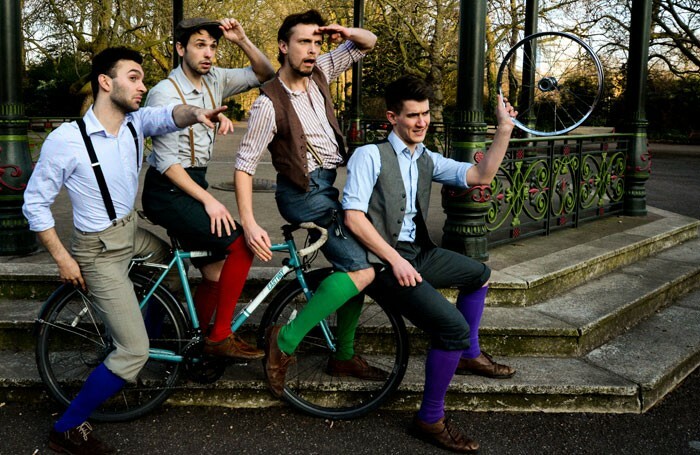 The HandleBards do Hamlet as well and are on their way up to the Edinburgh Fringe. What an undertaking it is.